I know, the upholstery is tattered and stained. 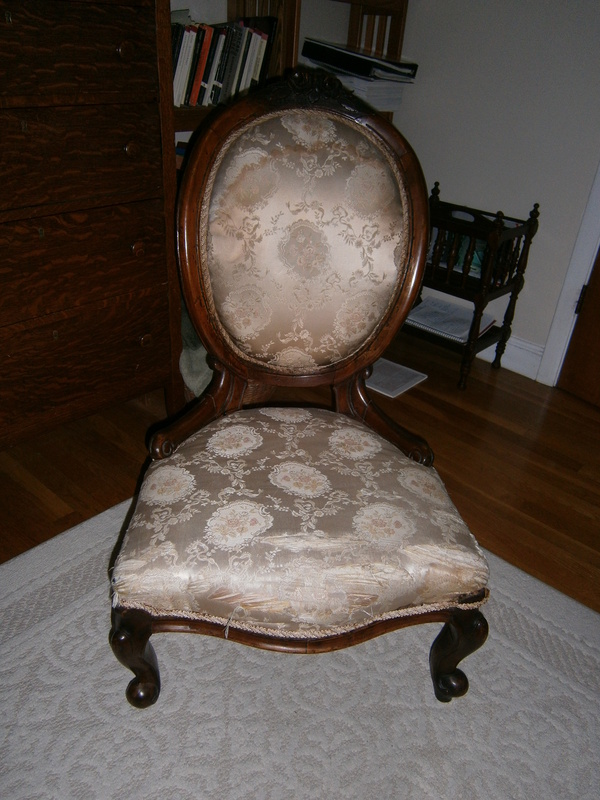 But the chair itself is a lovely old Victorian piece, with roses carved on the top. (Those did not come through well in the photograph.) It will need to be reupholstered, of course, which means that my $40 chair (yes, that’s how much I paid for it) will probably need another $140 worth of work. But I saw it sitting outside the antiques store, and something drew me to it. 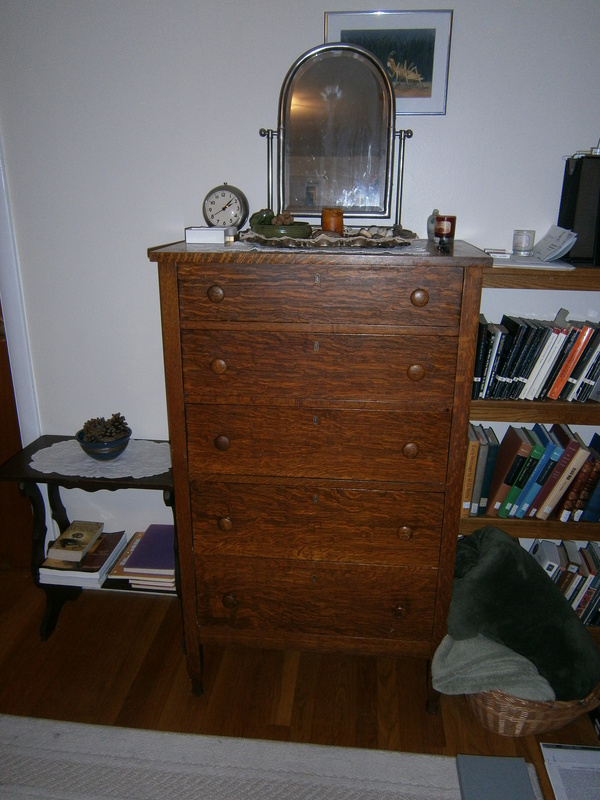 Some pieces of furniture have a sort of charm about them, something that makes them particularly attractive. I liked its proportions and how low it was: the perfect height for me. I can imagine it reupholstered in a Waverly pattern, perhaps something with roses on it. And I have to say, when I sit in the chair, even in its current tattered state, it has a sort of magic about it: I feel calmer. I think proportions do that to us, make us feel certain ways. In my grandmother’s apartment in Budapest, with its 18-foot ceilings and enormous windows, I always feel calm and at ease. And I need calm now, because my life is a mess. I have so much to do, and there’s simply no way to keep up. You can always tell when my life is a mess, because my room is a mess. There are papers and books on the floor, pictures that still need to be hung up months after I bought them. The necklace I bought is still on top of the dresser in its box, rather than in its proper place in my jewelry drawer. I still need to move the painting behind the mirror. The beside table is overflowing with books I haven’t read, although at least I’ve managed to clear off the chair. 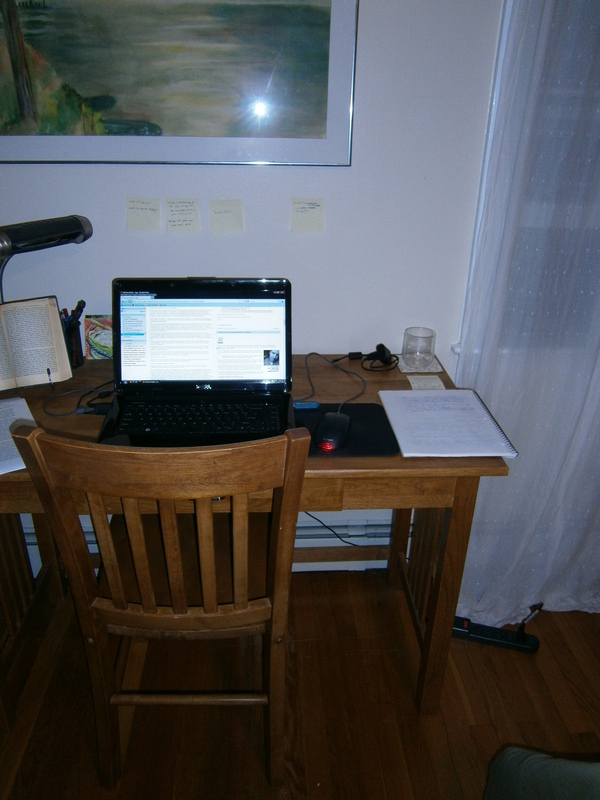 There are stickies on the table, because I’ve been marking pages as I read. Research, you know. At least the bed is made. I can’t stand unmade beds. 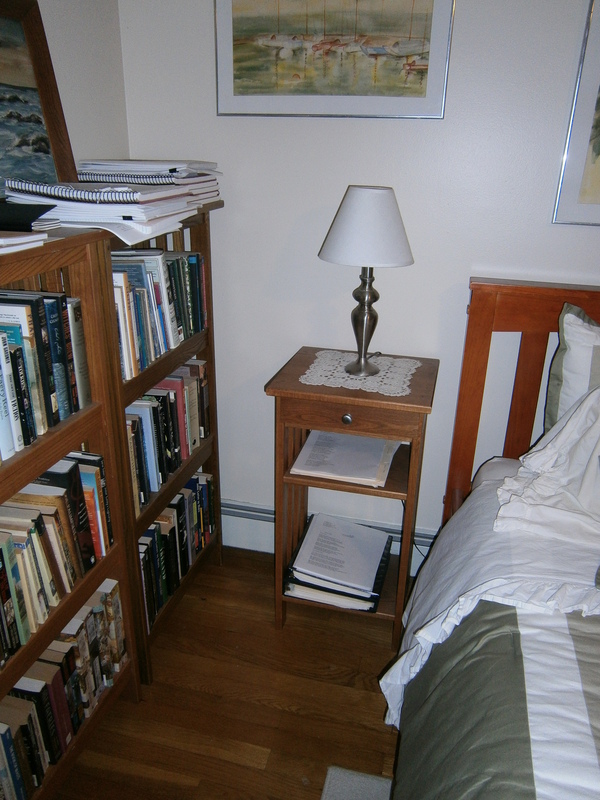 In the other bedside table is the manuscript for a poetry collection that I’ve had no time to work on. 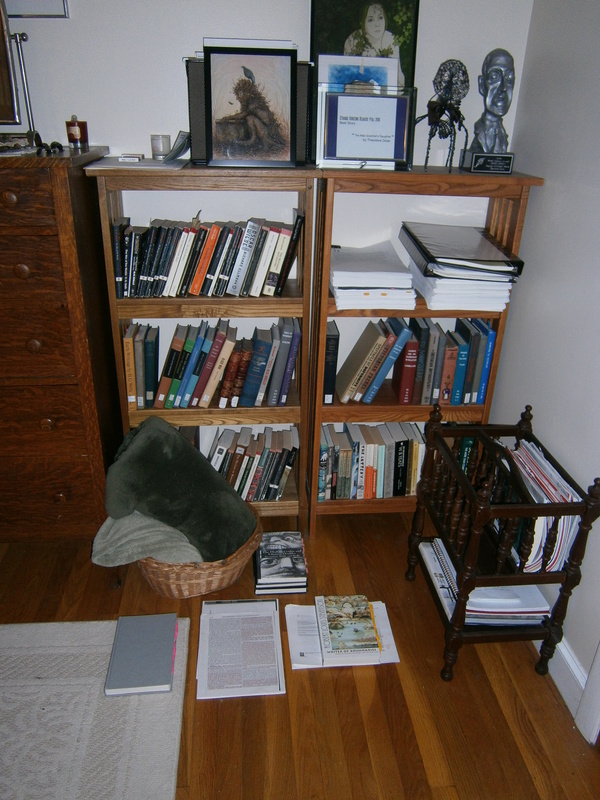 The shelves are covered with writing projects in piles. The books are completely unorganized, so when I go to look for one, I look on all the shelves, trying to remember where in the world I put it. 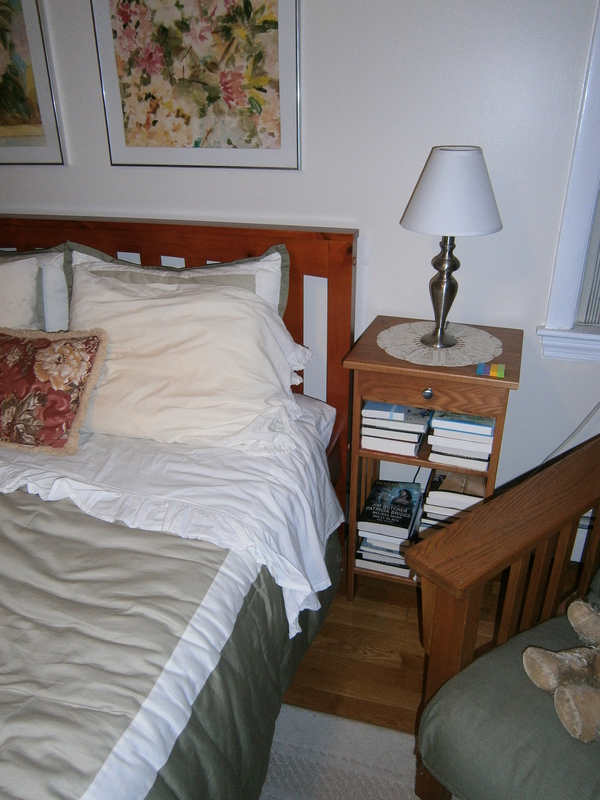 I miss the days when I knew where my books were, but that was in the apartment, two years ago. There are stickies on the walls and on my desk. 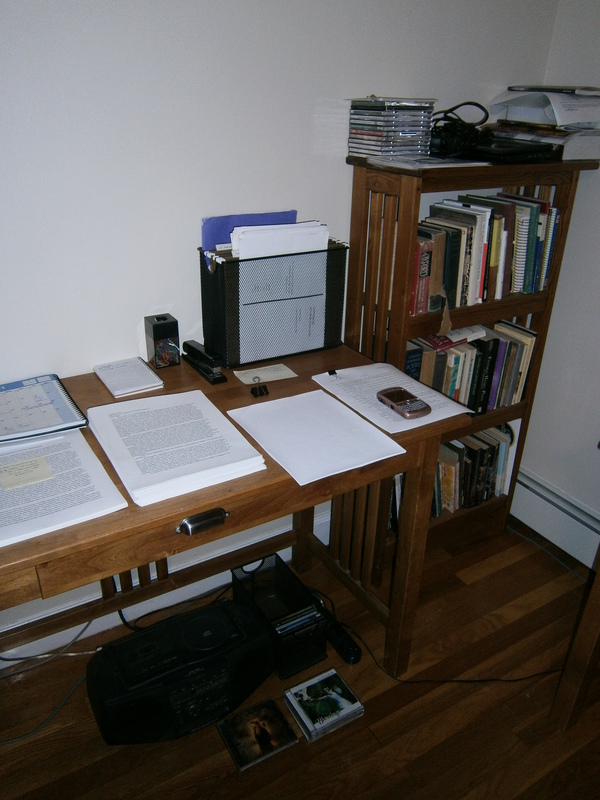 The desk itself has a constantly revolving pile of papers, depending on what I’m working on that day. I think I have three computers in my room: my current one, my old one, and the netbook. Plus my Blackberry. Well, at least I won’t lose contact with the world. 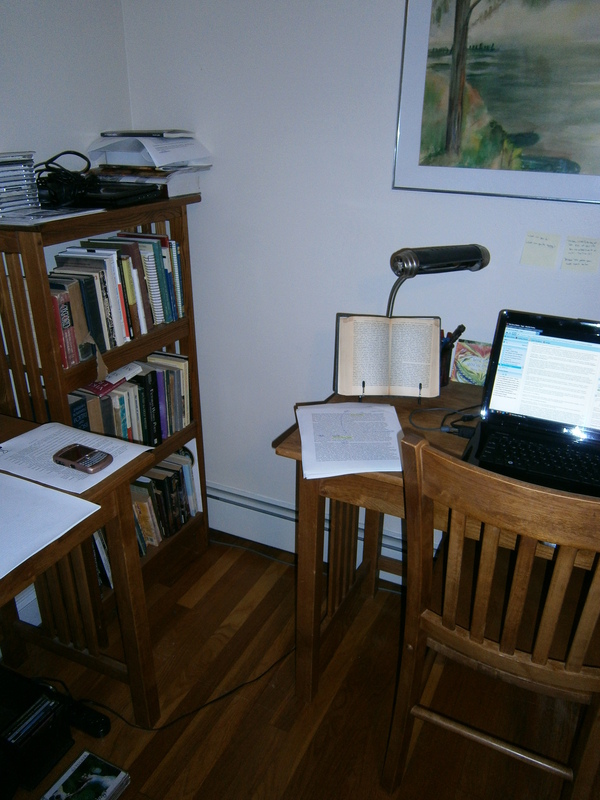 The other desk is covered with the dissertation, in piles. Also my calender, marked to show all the deadlines. There are so many of them! And that’s the end of the tour. 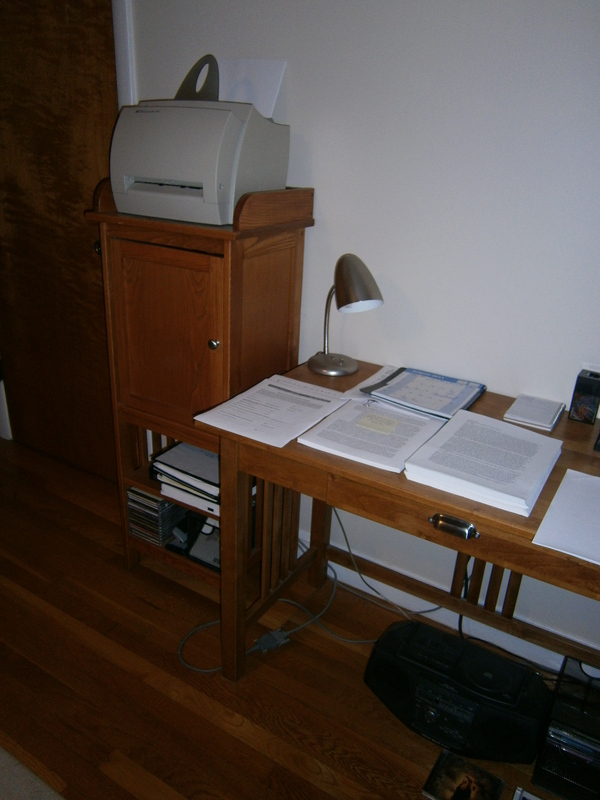 The desk with piles, the printer. Paper, paper everywhere. When I die, will I be held personally responsible for the deaths of all those trees? I know, all I’m doing in this blog post is complaining. 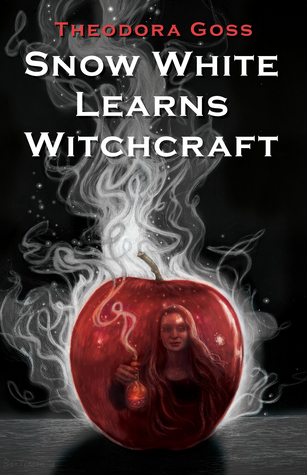 But that’s all I have for you tonight: complaints and the knowledge that I need to get back to Chapter 2. Someday, and it’s going to be someday soon, I’ll have a space I love. It’s going to be perfectly organized, and everything will be in the right place. I’ll know where my books are. The paintings will be hung, properly framed, on the walls. There will be no piles on the floor. 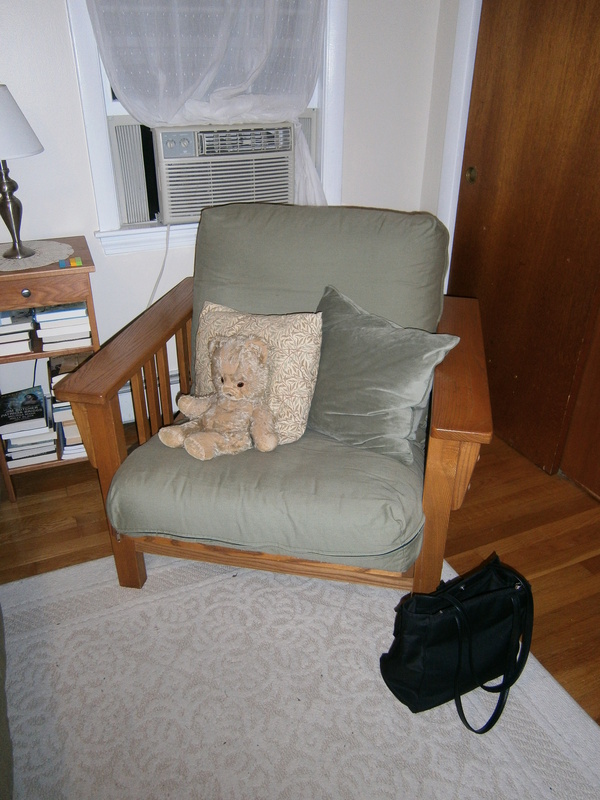 The new chair will be reupholstered, and I will sit in it, looking around, pleased and satisfied. Until then, I’ll do the best I can with what I have, even if I sigh when I look at it. 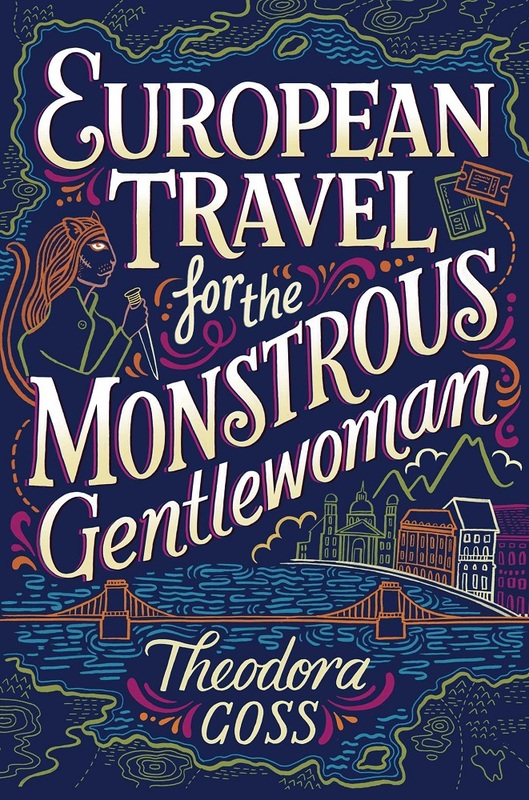 And I’ll trust that it’s coming – the place in which I’m going to write all those brilliant books. I wish my home were as tidy as yours. When you have a marriage between a sentimental packrat with high aspirations about what she will get around to reading/using/organizing Some Day (that’s me) and a gentleman who loses track of any object as soon as it’s no longer in contact with this body; and that marriage continues for 41 years and counting; and in the same house for 21 years; and you add to the mix a daughter who takes after her parents…THEN you get mess! Mind you, I understand that your home feels messy to you right now, and I sympathize. But: Such neat dissertation stacks! 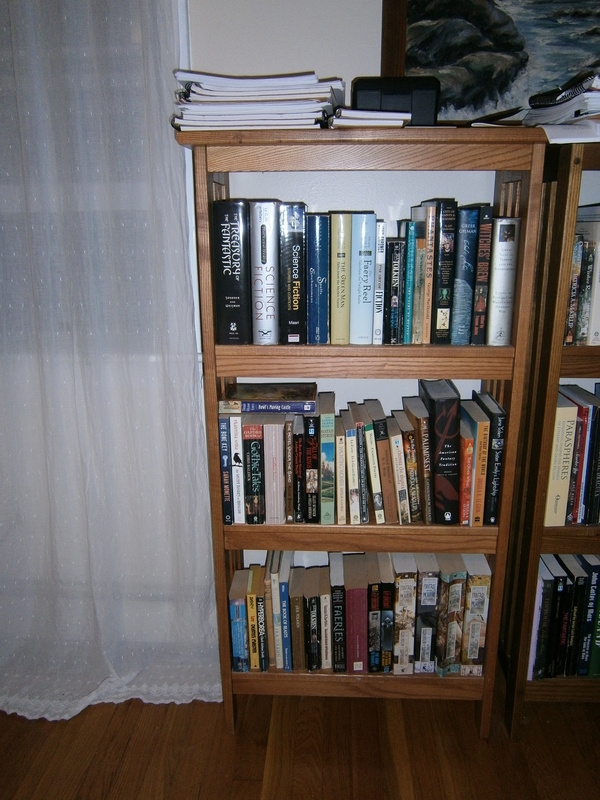 Bookshelves that don’t have an extra layer of books piled in front that has to be moved to search any given shelf! Not a “temporary” cardboard box of random storage in sight. Oh, do, please, count your blessings! And you have published fiction. Even while dissertating! Wow! Today, I am able to feel smug about having brought 3 short stories to very rough draft form. Oh, and we had a cleaning frenzy a few weeks ago, and there are STILL places to sit in the living room! Michelle: Looks very interesting! I’ll watch out for it. Dayya, the spontaneous sprouting theory has much to recommend it. Seems like there’s the germ of a horror story there…. I would love to see what you would do with that germ! 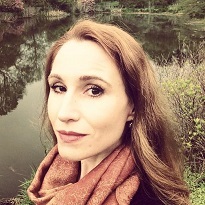 I have no aspirations to write horror. My stories start with seeds, not germs *she said primly*. So if you feel the call, or have caught the infection, or whatever, go for it. I will look forward to the result as much as I am looking forward to your Folkroots on magic plants.